I know lots of you weren’t around these parts in January when I uploaded my original How Cruel Is My Make Up Bag post, but I promised I’d do an update in 6 months. Since it’s now long overdue, I’m going to tackle it for you today! I feel obligated to point out that that my makeup collection still isn’t 100% cruelty free, but I’m going to make it as clear as possible which products I still need to switch up for kinder versions. Never in my life would I have thought I would be raving about a foundation from The Body Shop, but here we are. This stuff is fantastic. It’s ridiculously high coverage, but it doesn’t feel cakey on your skin. And it’s only £10 and it’s 100% vegan… can you ask for more? Oh wait, yes you can, this stuff has tea tree in it so it’s (theoretically) good for your skin as well as making your face look amazing. Sticking with The Body Shop, this was one of my favourite products this summer. If I’m having a chilled day, I’ll add a few drops of this to my moisturiser and leave it at that, but it’s also great to add to your normal foundation if you’re wearing fake tan or have gotten some sun for a subtly bronzed face. It’s really lovely, but I don’t think I’ll be using it as much in the winter time, it’s a true summer obsession though! Okay, this is not a product I’m in love with, but it is cruelty-free and I’m just going to use it up and move on. 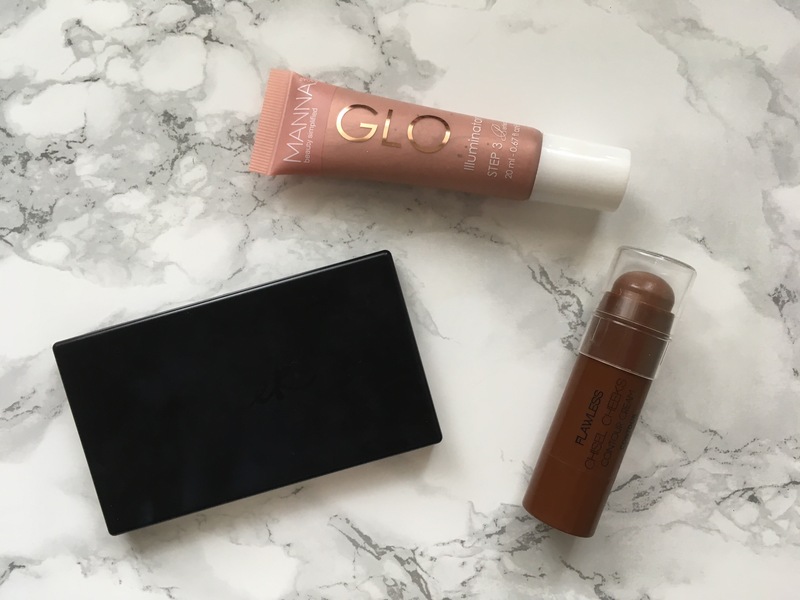 I got this in a Glossybox a few months back and thought I’d give it a try, but this has proven it once and for all – loose powders are not for me. They’re messy and the packaging’s always chunky and I find it hard to get a really nice clean layer over my face. However, I have been told, by a friend who likes loose powders, that this is actually pretty good, but don’t take me as an authority. This is one of the very last products I have to switch up for a cruelty free equivalent. I don’t even like this concealer all that much! However, I am finding it difficult to use up and I’m not really sure which cruelty-free one’s to test… if you have any suggestions please let me know, I’m beginning to get a little desperate. I love this stuff! 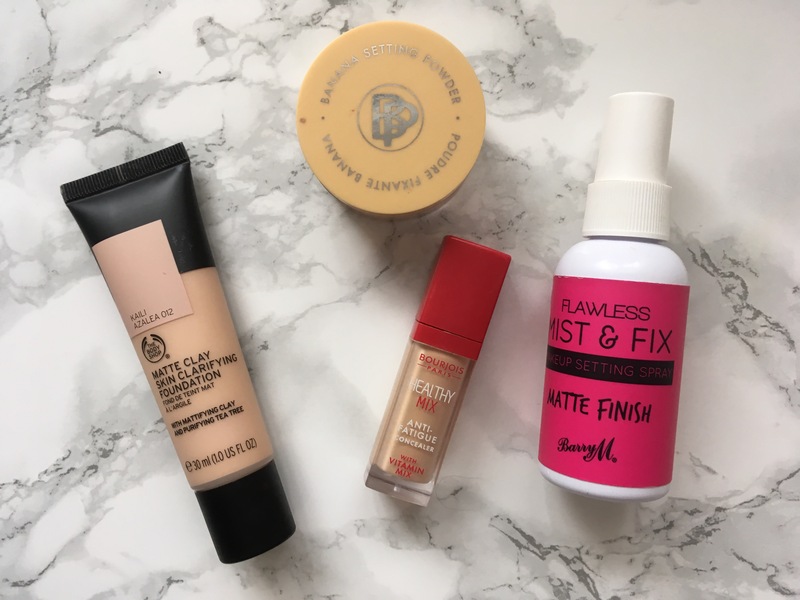 I’ve talked about this in a previous favourites post so I won’t get into it too much, expect to say that it makes my make up last ten times longer and that it’s now an essential part of my morning make up routine. This palette is all I need to contour and blush on a daily basis, I love this thing so much. I don’t wear blush all that often, but this is a really subtle colour, the bronzer doesn’t look muddy and the highlighter doesn’t look ridiculously glittery (just glittery enough to be gorgeous). This came in a pack of two with an accompanying highlighter… but it just looked like foundation on my pasty face so this is the only one I kept. I love blending this stuff out with a damp sponge and it looks amazing. It does take me a little longer to apply, so I’ll only wear it on a day that I can take my time, but it’s well worth the extra effort. This is another product from a Glossybox, but this is one I actually love… and it’s cruelty free! I use this illuminator with the Barry M Contour Cream when I have a little bit more time to play around and it hasn’t let me down yet. I’d actually be really interested in trying out more from this brand in the future, they’re not one I’ve really heard about before. Psst, I know I’m falling behind in the eye department, but I have a haul coming soon that should redeem me! This is my baby, I truly love this thing. For any rose gold fans, this is the palette for you. 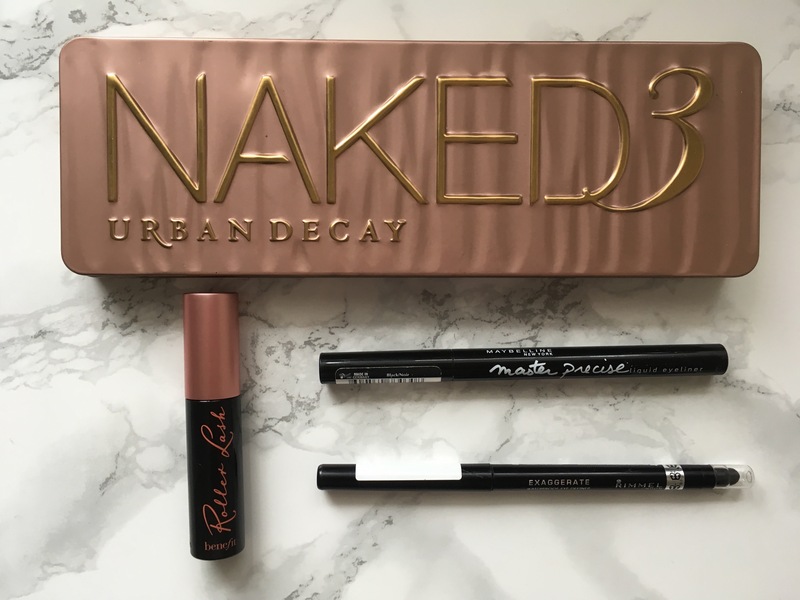 I love all the glittery shades and the pigmentation is just fantastic – but again, I’ve already talked about this in a Things That Made Me Smile post, so you’re probably well acquainted with Urban Decay so I won’t waste any more time now. This is the last mascara sample I have to use up, it’s nice, but it’s not cruelty-free so I won’t be purchasing a full size unfortunately. To be honest, I’m pretty sure this thing is totally dried up by now (I haven’t used it in ages), but I need to have a felt tip eyeliner in my collection somewhere… just in case. This is my go to type of product for a more formal look, or if I want really bold eyes. This is one of the few products that I’ll actually be devastated to let go of when it’s finally used up. 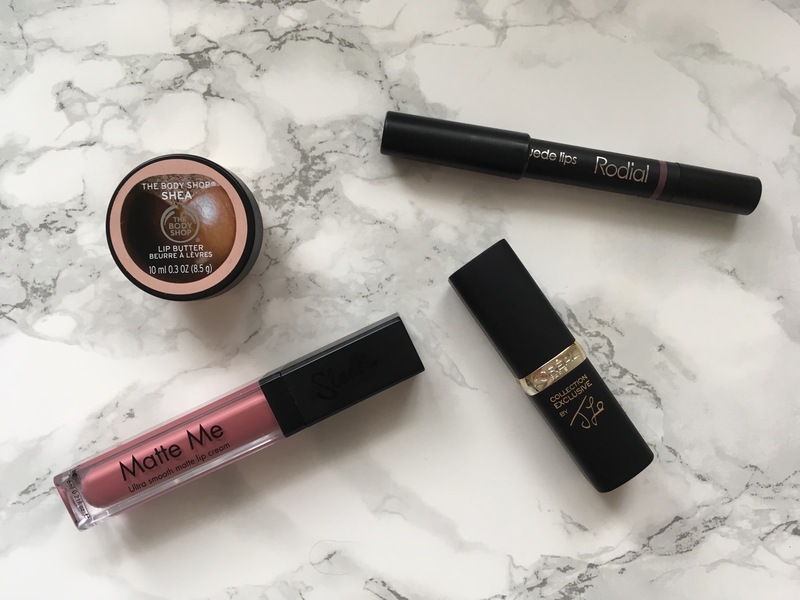 I am in love with this lipstick – it’s the perfect colour and makes me so sad that it isn’t cruelty-free. You can literally wear anything with this colour and it’ll look amazing, bold eyes, subtle eyes, it can cope with it all – how is that even possible? This is a beautiful colour for autumn/winter – I’m so excited to wear it more now that we’re finally into September. It’s another one of those colours that’s a statement without being in your face or impossible to maintain. Plus, the matteness of this product doesn’t leave it too drying (which is nice for a change). It comes highly recommended! This is like the shy little sister of the Sleek Lip Cream, it’s way more subtle, it rubs off easier, but it’s a nice daytime colour that I think I’m going to get good use out of in the autumn months. Again, I got this in a beauty box, and although I never would have picked this up for myself I’m glad it’s with me now. And there you have it! As you can see, my collection definitely has a higher percentage of cruelty-free-ness than my original post did but it’s a work in progress. We still have a ways to go, but we’ll get there in the end! Let me know some of your favourite cruelty-free beauty products down below, I’m always looking for new suggestions! P.S. Stay tuned for a few hauls in the not too distant future!